Available in ample of grades, specifications and standards, our ASTM B168 Nickel Alloy Plates are comprehensively in demand. 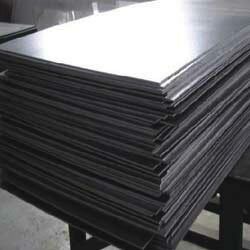 The Plates are fabricated by our team of adroit personnel making use of upgraded machines and technologies. They are extensively used in flue gas scrubbers, sulphuric acid tanks and racks, process piping, heat exchangers and many others. Buyers are free to place bulk orders the delivery of which will be surely on time.